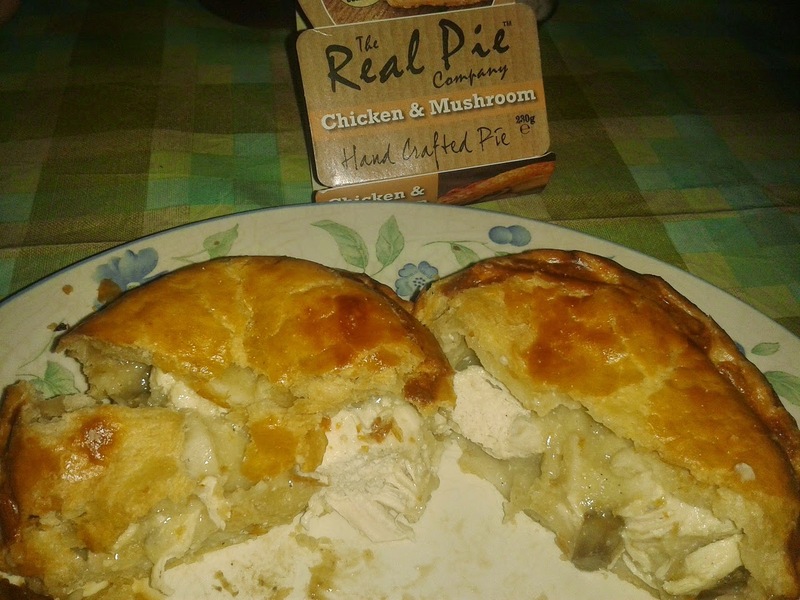 Pierate - Pie Reviews: Are The Real Pie Company the real deal?! For a box of pies arrived on my desk recently that were not just any old pies – these were the real deal! Or at least that’s what the pie packaging indicated – but we’ll be the judge of whether these are real-ly good pies or not when they get an official pie rating on the 7 Cs! I think the first thing to mention is that these were some of the most nicely packaged pies I have ever seen – and believe me, I’ve seen a lot of pie packaging in my time! While the pie packaging is not specifically part of the actual pie review, it certainly gave a great first imPIEression – and quite unique in offering a cross-section of the inside of the pie. This is something pie companies often don’t show, perhaps because they are scared that their lack of filling will be exposed, resorting to hiding their poor air:filling ratio inside the pastry parcel. Well at www.pierate.co.uk you will not be surPIEsed to hear that we are loving the “Crammed to the Crust” slogan that adorns the pie packaging on these “The Real Pie Company” products. After all, with capacity one of the famous 7 Cs, we certainly think highly of a strong filling! 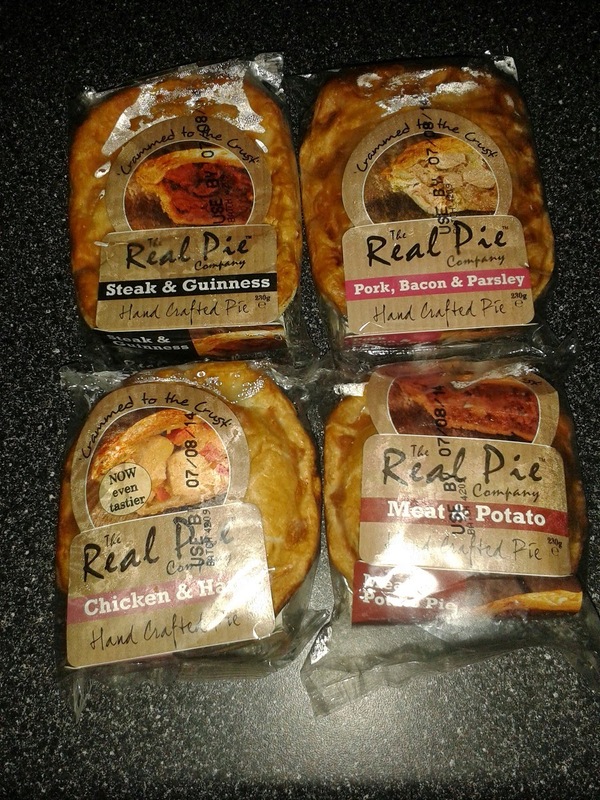 And these The Real Pie Company pies had a really good capacity throughout their range. 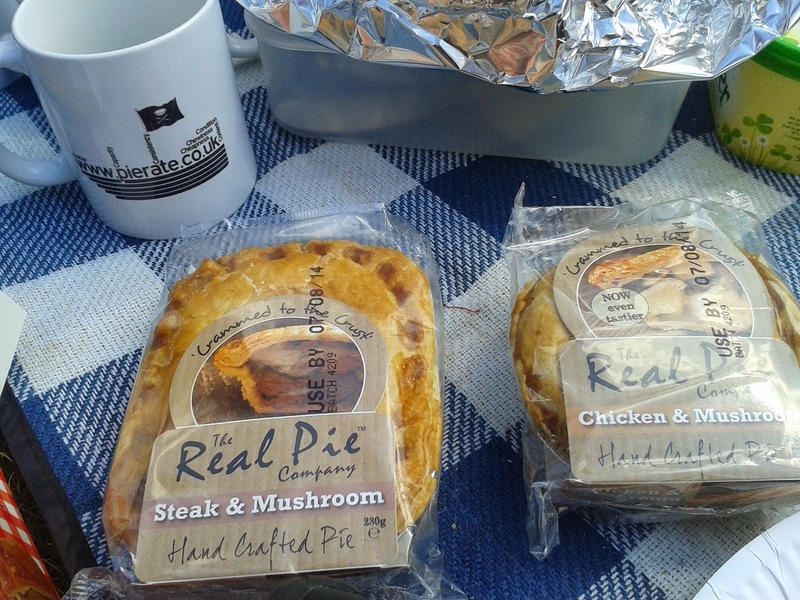 The pies had a good pastry – golden and crisp – nice eaten cold but preferred hot. They had the classic shortcrust base and sides, with golden puff pastry lid. As mentioned previously, the pies scored very well on the 7 Cs for capacity - packed to capacity with lots of meat! The meat was in general very nice and tender, though in some of the pies the pieces of meat were rather big and the flavours might have mixed better had the meat been chopped up slightly finer and mixed better within the sauce/gravy. Also there was some nice gravy and sauces, in the steak and pork pie in particular. At £2.95 each for a pie so packed with meat, this represents a good price, though they aren’t the biggest pies and thus aren’t quite the perfect value pies. But you can buy in bulk on The Real Pie Company website to get your pies cheaper. This pie was eaten cold at the world’s first ever Piecnic, which you can read about and see in our video here. The meat was lovely and tender, with a nice thick gravy which complemented the steak really well. Would happily eat this pie hot or cold, a real bonus on the 7 Cs to rate so well as a pie eaten cold. A nice Guinness flavour to this pie’s gravy added to the nice tender steak. The pie was packed with steak and the flavours worked well. The pie was a good balance of steak and kidney – slightly more weighted towards the steak (as we believe steak and kidney pies should be!) The flavours worked well together. 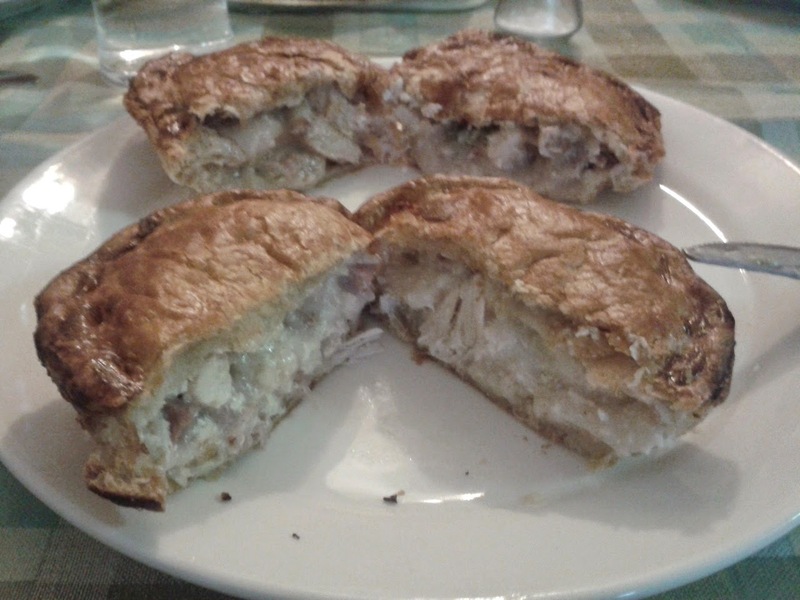 The Meat and Potato pie had the same good quality pastry and was packed to the crust with filling, though the minced beef and potato struggled to live up to the amazing standards of the other meat pies. The flavours in the pie were quite strong and while the mince and potato tasted nice, they didn’t blow me away. A decent pie but never going to challenge the others on the 7 Cs. Ironically their ‘packed to capacity’ philosophy was almost slightly to the detriment of the chicken pies we rated, with a bit too overpowering a chicken flavour (overly large chunks of chicken) and a sauce that was nice but didn’t blow me away. The two chicken pies almost had a bit too much chicken in them and not enough other flavourings to get the perfect content on the 7 Cs, so while not bad pies it didn’t quite reach the heights of the pork and steak pies. Wow! The main criticism of this pie is that one just wasn’t enough - it was just too nice! Flavoursome and with a nice thick sauce, with great tender pies of actual pork (not the cured pork you would often find in a traditional pork pie) and bacon. I could probably have eaten 3 or 4 in one sitting – they were just so tasty. The sauce was really nice, complementing the meat well. I just wish there were more pork meat and sauce pies out on the market, with this one surely being the pork and sauce pie to beat! A great scoring pie! 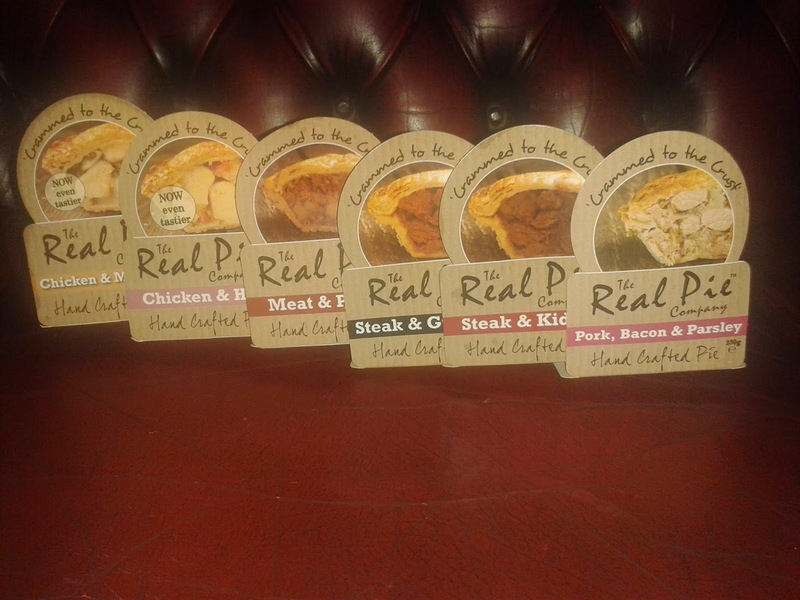 So there we have it: they real-ly have done a great job with these pies – all scoring at least Pierate Recommended status but with 4 Pierate Highly Recommended pies! But the stand out pie for me was the Pork, Bacon and Parsley Pie. A great job by The Real Pie Company and I eagerly await their fruit pie offerings too! Bought a 'The Real Pie' Steak & Kidney pie at Co-Operative today to try. Paid a premium price expecting a premium product and was sorely disappointed. It only had two visible pieces of steak inside and the rest was made up of kidney and sparse gravy. Nothing like the pretty pictures on the packaging or the claimed 64% beef steak content. Sick and tired of of being ripped off by false advertising!!! Are you sure that this pie was made by the 'real pie company'? 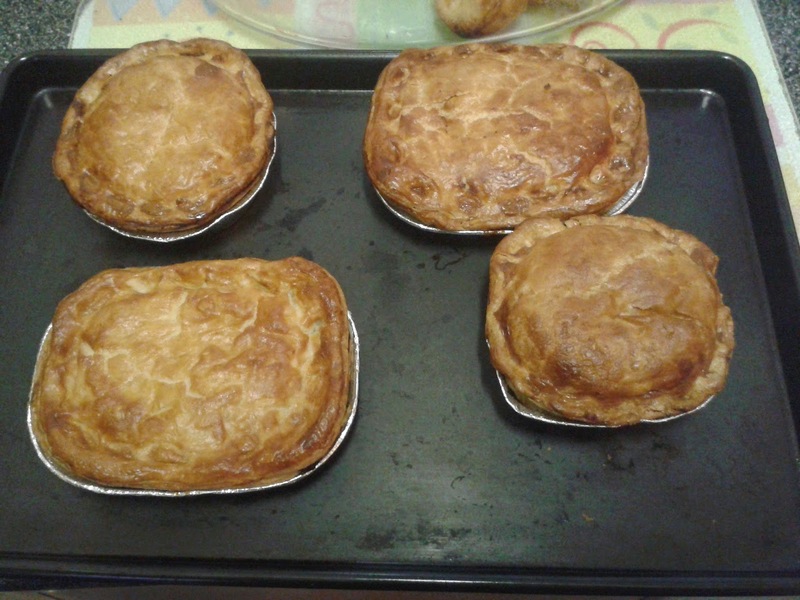 We have generally had good experiences with their pies having recently tried a number of new pies in April 2016. So you are thinking of buying pies from the real pie company. So you think that the Awards they hold mean that you will get a perfect pie that is crammed to the crust. So you think the promises you receive from the company and the agent or shopping chanel you use mean that the process of purchase and delivery will be a smoothe one....... THINK AGAIN !!!! I thought all this would be true but it is far from it. Firstly the delivery didnt turn up on time, Not until the following week actually and when it did arrive all the pies looked like they had been through a cement mixer. Smashed to pieces. In fairness the pies are supposed to be being replaced but this will take a further 14 working days apparently. My second point is that the pie tins are extremely dirty (see photo) I have never known a pie to have a tin this dirty. Maybe one will overboil every now and again but these were all filthy. Thirdly the pies are not what they say on the packet or the TV for that matter. Even though the pies had had a rough ride we tried them. The chicken pies had very little chicken in them and the chicken that was in them was of a low quality. The sauce was flavourless and to be fair the taragon one tasted the same as the leek. Crammed to the crust was an interesting description as it was hard to find meat. The steak pie was absolutely disgusting. I counted 4 pieces of steak in my pie only to find one of those was a massive piece of fatty grissle... I did try to find a mushroom but alas that was illusive. There are many award winning pie companies out there and most of them are caring people who produce quality products day in and day out... Not just for the TV show or the awards judges. MY ADVICE... DONT WASTE YOUR MONEY. THERE IS MUCH BETTER OUT THERE AND TO BE FAIR OTHER QUALITY BAKERIES AND PIE MAKERS ARE BETTER VALUE THAN THIS ONE EVEN IF THE PIES WERE PERFECT !!! Sorry to hear you've had a bad experience but that's certainly not been how we've found The Real Pie Company and we'd still be very happy to recommend them. I made a considered purchase before Christmas of a mixed pie selection via Q V C shopping channel having purchased meat pies before I was very satisfied.However this time I purchased and froze my pies straight away and had intended to use them as and when required,I cooked a vegetarian pie chetsnut mushroom,leek and stilton on eating almost all i came across something hard in my mouth and on closer inspection found a large piece of clear plastic in my pie! Disappointed as I could not find a way of complaint on the companies web site so feel frustrated and no recompence? That is a real shame and certainly not a great experience. I hope you find some contact details to approach them directly about that.